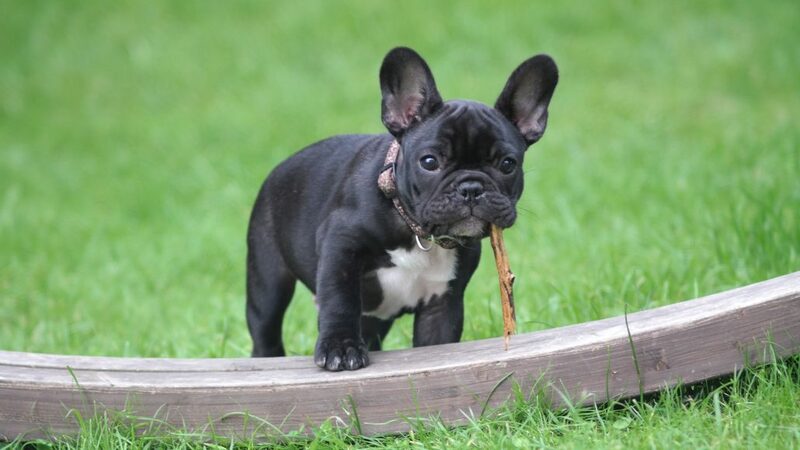 Brachycephalic dog breeds (brachys) like Pugs and French Bulldogs are hugely popular around the world. But they’ve also hit the headlines because they’re prone to particular health problems. So while we don’t want to discourage owners from choosing brachy dogs, it’s worthwhile considering how to best meet their health challenges — that way, your pet can enjoy a healthy life at the heart of your family. In simple terms, brachycephaly refers to a skull shape that’s shorter than usual for its species — in domestic dogs, this is the result of generations of controlled breeding so that certain features appear consistently. According to The Kennel Club, the condition is present in varying degrees across a range of breeds — from Pugs and Japanese Chins to Boxers and Staffordshire Bull Terriers. Breathing problems — the anatomy of their upper airways can cause difficulties with breathing, apnoea and regurgitation (Brachycephalic Obstructive Airway Syndrome or BOAS). In some cases, corrective surgery provides relief. Eye issues — corneal ulcers are fairly common in these breeds. Skin infections — deep skin folds and wrinkles can hide painful skin disorders. Spinal problems — breeding to produce curly tails can cause abronally shaped vertebrae. Birthing problems — some brachy dogs need to have caesarean rather than natural births. Not every brachy dog suffers from these ailments, and some breeds are more at risk than others. The British Veterinary Association (BVA) has launched a #BreedtoBreathe campaign aimed at encouraging responsible breeding so that over time, the most extreme genetic problems of brachys won’t be so prevalent. Talk to your vet before buying a brachy puppy — we’ll provide a balanced opinion. Contact us immediately if your dog shows symptoms of BOAS — we can advise if surgery is an option. Keep in close contact with your vet so they can carry out special exercise tolerance tests and functional grading at least once a year. Our Healthy Pet Club is a great way to spread the cost of treatment while preserving peace of mind. With the appropriate pet health advice and guidance, you can boost the health of your Pug, French Bulldog or any other brachy breed. Brachys are beloved pets — they just need a little bit more attention than other four-legged friends. If you want to find out more about dog health or any aspect of professional pet care, call us on 01506 437096.